DON’T LET FOOD CONTROL YOU ESPECIALLY WHEN IT CAN SIGNIFICANTLY IMPACT YOUR GROCERY BUDGET. You might be asking yourself the same questions everyone else is when it comes to food prices. When is this grocery shopping battle ever going to end? The answer is never because we have no control over price points or the state of the economy. 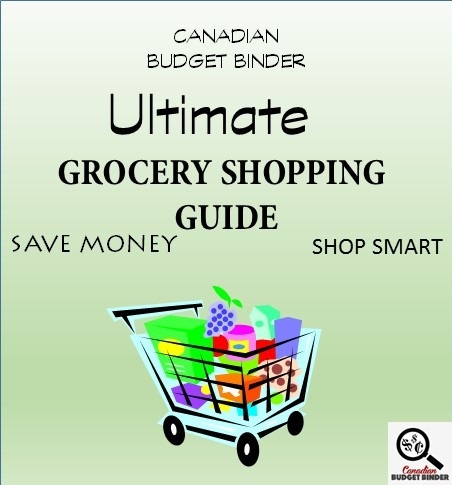 What we do have is the ability to fight back by finding ways to slash our grocery budget with smart shopping choices. Ugh, I know that sounds like fun to some of you. Most often it’s not for the rest. The biggest savings high for us is finding those unadvertised awesome deals or using enough coupons to get a product free or near free. Is that even possible to do with coupons today? Meh, some say yes and others say no. It depends on what you buy, but I can say with certainty that stockpiling and the lucrative deals are far and few these days. You won’t believe how much money you are spending on empty foods that don’t add value to your meal plans or snack box. By adding value I mean, nutrition, cost and taste. Everyone wants to know how to save money on food because as motivated as we may be there’s one part of your brain that keeps winning the food fight. Cooking food and coming up with food ideas for the week can be boring for the unhappy home chef but lots of fun for the inspired home chef who thrives on putting on the chef’s jacket. That’s me although no aprons or jackets I’m afraid. Who are you talking to over there? Yes, you! How many of you talk to yourselves when you are grocery shopping? Not everyone does and for those that don’t they possibly spend a bit more money. For those that do question their shopping choices it’s just as easy to overspend especially when you should already know the answers. It’s important to know your grocery goals and aisles to avoid unless you need to go down them. Being alert at the grocery store means a world of difference when it comes to savings. That means, turn off your cell phone, stop chatting to people (not including yourself) and pay attention to what you are buying and whether it’s worth it. If you’re armed with a grocery list the only real question should be, “What foods can I remove to add this awesome deal I just found?” Sounds easy enough but trust me we struggle with this question all the time. 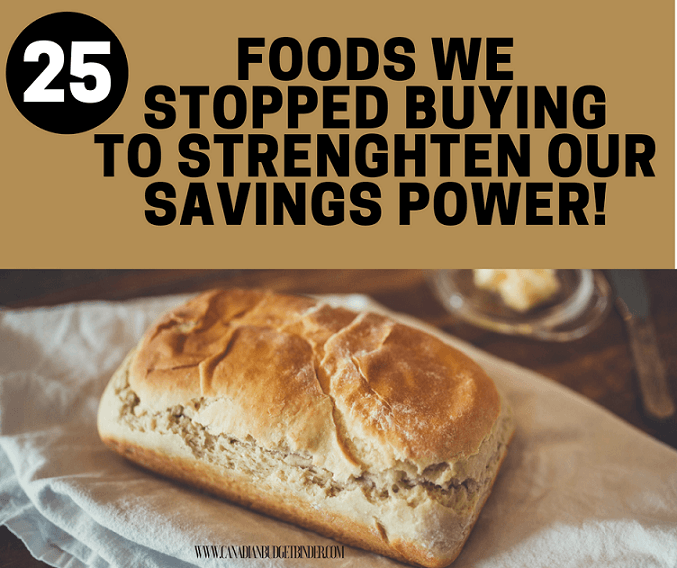 We’re always on the hunt for money saving ideas in the CBB household especially when it comes to our grocery budget, the heart of our monthly budget. Over the years we’ve made many improvements when it comes to knowing prices and what foods we are putting into our grocery cart. Both Mrs. CBB and I are partial to foods that are higher in quality and lower in price. Typically we only splurge on luxury foods if there is a 50% off sticker or a good weekly flyer deal. We’ve come to learn that we had a hidden talent to save money that was masked by our senses and our ability to say no. It’s amazing how the small stuff adds up and the foods you thought were saving you money was hidden under flashy grocery store marketing plans. Buy 1 Get 1 Free comes to mind. Are you really saving more? For example: In the Metro Flyer they have Buy 1 Get 1 Free Flamingo frozen chicken products. So, this means your chicken nuggets, chicken strips, chicken burgers etc. The regular price stated in the grocery flyer is $11.99 a box. What? Wait a minute? Each time we go to No Frills, Zehrs or Food Basics we see the exact product for $4.99, $7.99 max. We also had a Save $5.00 off a box coupon costing minimum $1.99 a box or less if on sale and there were no shortage of coupons to be had. You do the math and come back and tell me if this would be a smart purchase or a huge fail on the part of the consumer. No, if you have other grocery stores in proximity and yes if you only have one grocery store to frequent and you want this convenience food. Choice is yours. No wrong or right answer here because we all enjoy varied eating habits and have different grocery budgets. Just remember the savings. It should always mean something to you rather than just a convenience. We’re no different from the average family who visits the grocery store to stock up on deals but we often struggle with time and willpower. 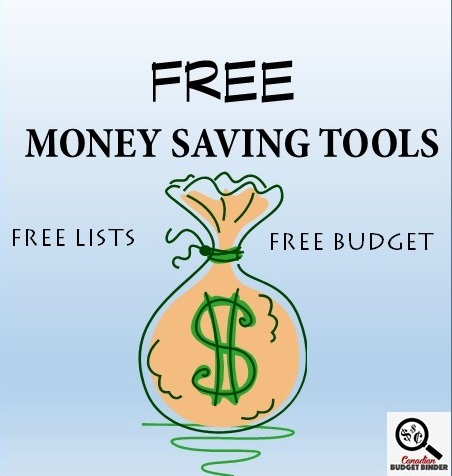 Do you want to know how to save money effectively so you don’t make the same mistakes over and over? Then strengthen your mind and fight the urge to let food control how much money you are spending. Time is always on the back of our minds when creating a meal plan followed by a grocery list. Why? Because most people don’t have time to cook homemade meals every.single.night. of the week. Unless of course you are free to do so with limited interruption. As a stay at home mom Mrs. CBB struggles to do this which is why we have to plan our meals accordingly even if there is a change in plans for the day. If you let the convenience of time beat you to the checkout be prepared to pay more for less which sometimes includes less nutrition. Willpower is trying to avoid those short-term temptations that will only satisfy you in the moment but comes with an expensive price tag. Personal improvement while grocery shopping happens over time if you really want it to since control of one’s impulses can really make a difference. For example: If your decision is to go into the grocery store and buy milk and butter you need the strength to carry out that decision especially if you struggle to say no. We all have our reasons why we buy one product which means just because it’s not right for you doesn’t mean it’s not right for someone else. If making bread is a must and you can make enough for the week or month to freeze that’s a huge savings. Not to mention tastier. Any time we question having enough time to make homemade instead of buying it we need to understand why we aren’t making the time. Is that television program adding value to your life? No? Add savings and bake some bread if homemade is what you want but struggle to find time to make. We are certainly entitled to rest after a long work-day or work-week but busting our butts at work to make money only to spend it with less effort makes little sense to me. That being said our list is personal which means we found these foods to bulk out our grocery budget so we chopped them!! Ah-ya, like Ninja Food warriors we sliced and diced until we were in a happy place with our food shopping trends. I might be missing some foods (list is always building) and there are times we screw up or just don’t care because we have a low-motivation day while shopping, forget our shopping list or aren’t prepared. It happens to everyone, just don’t let it happen often. As you can see from our list many of the products add no value such as pop, frozen pizza, pancake mix either because we don’t need it or it’s simple to make at home. Obviously you might be a whiz at making homemade foods such as ketchup, BBQ sauce, Nut Butters and Salad Dressing etc. The savings will be huge when you think about removing preservatives and ingredients you can’t even understand from your diet. To find more amazing homemade recipes that might help you chop foods from your grocery budget can be found in our Free Recipe Index. Discussion Question: Think about the foods that might be on your chopped list or even better write them down and share them in the comments section below. Any other tips please feel free to share. Total Out-Of-Pocket $ Too Much. This might be your grocery shop. Think about ways you can improve it. Well we were cutting it close this month but we’re happy with our choices this month and ours savings. There was no way I was going to pass up pounds of bacon for $1.50. Mrs. CBB and her low carb diet means she’s best friends with bacon. Our son also loves bacon. (who wouldn’t?) On to March to see what deals we can find. Finally got Feb done!! I came in under for the second month in a row so I will have a little room for March being 5 weeks. Hopefully I can be up to date by the end of the month. The ipad is giving me a hard time to post there so I’m using the laptop for the time I have it in the evening after dinner. The cats are finally on the second big bag of cat food we got at Canadian Tire back in Dec. but I’ll have to start buying catfood and litter again soon…I’ll be watching for the sales there!! Welcome to our new challenge members since I haven’t got that far as to say anything before!! It was a rough shopping week this week, still feeling a bit off and it was a busy week of commitments and work. I just did a shop at superstore and didn’t shop the deals like I normally do. We had company twice this week and a birthday lunch for my oldest for 20 people today so caution was thrown to the wind, we have so many dietary restrictions in the family it gets difficult and there is a lot of extra planning when cooking for everyone. We have gluten, nuts, onions and dairy allergies as well as a son in law that is the fussiest eater, all he likes is junk!! I made homemade fries today thinking he would enjoy them and apparently he only eats frozen or take out…I .do a lot of tongue biting, I eat anything and I have no patience for fussy eaters. When we sit down as a family with spouses and grandchildren so it gets tricky and expensive. Anyway that is off my chest and I am looking forward to March, I am starting my tomato seeds this week and I am looking forward to planning my garden! I was still under for the month but know I could have done better, I think the busier you are the more you can let your budget get out of hand! I agree with cutting lots of convenience foods out of the budget, I think a lot of people’s palates are conditioned for convenience food and they don’t even know what a real pizza, Spanish rice or pancakes are supposed to taste like, even in my busy working full time days with kids at home I still do most of my cooking from scratch, but the kitchen is my happy place so it doesn’t seem like a chore. However if you are not an enthusiastic cook or don:t enjoy it I can see how the convenience wins over scratch cooking, it jsut isn’t for me. Ha ha I said yuk to the creamer because I don’t like it but my company did!! Lots of planning for that dinner, I made chicken salad and a small version with no onions for the onions allergy, I made a gluten free Greek pasta salad (no onions) with rice pasta, lots of cut up fruit and veggies , a dairy free Caeser salad with croutons on the side, I roasted a small ham , I set out croissants and I had a few homemade gluten free buns in the freezer for the gluten allergy. For the birthday cupcakes I made coconut pineapple cupcakes subbing coconut milk and made a bakery frosting with coconut milk and shortening, a wonderful frosting but the shortening is a bit bad for you!! I made a gluten free apple crisp for the gluten allergy!! It’s a marathon but we do family dinners regularly so I am used to it!! oh hahaha. That sounds like lots of work. Ah so it’s your family that came over for dinner and they have different needs when eating. I guess if you’re used to it then it won’t be so bad. Well, I’m a bit of a dissenter because I do find that some things made from scratch are quite a bit more expensive that buying on sale, or bulk. So, I guess, it depends? Yes you’re right it all depends on prices, sales and whether you still want to purchase the product. The good part about your burgers is you know what you are putting in them. That’s what it boils down to for us at times, preservatives. We still buy stuff in a box and bag because we have a picky eater and are struggling with him right now. It’s always a race to chop the budget any way we can. 🙂 Thanks for your comment Anne. What does “Stock up 10 for 10” mean? Do they offer a bunch of products and you get to pick 10 for 10? Are you noticing any price changes so far for 2017 compared to last year? How did you come up with your meat budget number? Were you able to average out your yearly expenses over the past year or years? I guess it helps when you have all of the data like you’ve been keeping all this time. See, it makes sense to do so. I’ll admit that I used to not keep track of my finances like I do but I have never walked into a grocery store with no plan of what I was going to purchase and what it’s going to cost. We don’t typically have chocolate in the house, which is a good thing as it never lasts long. You are correct, Stock up 10 for 10 is exactly that….10 items for $10.00 and currently I get that from RCSS. For the items that I purchase, not much (if any) changes from last year. I came up with my meat budget started from the year that I bought a 1/4 beef and some chickens from my friend, which was around $400. I padded it it a bit to take care of fluctuation of prices. I also had to take into account my existing bills in my bi-weekly budget. My meat budget is made up of sausages, chicken, beef, pork and some times hot dogs. I will compare the YTD but I will look at the percentage as a whole for each category (Savings, Life, Housing, Transportation and Debt). I could look at the figures on a monthly basis but don’t see any value added in doing that. It also came to my attention that some of our GGC players are not following the What’s for Dinner thread on Facebook… so I have decided to include my recipe links whenever I am using a not previously posted recipe that’s available online. I have been known to play with the recipe and adjust to suit what I have on hand and to suit my family’s likes/dislikes. I will let you know my adjustments. Let me know folks if you are interested in these links or would prefer that I skip them. I thought perhaps it might be helpful to see what I actually make with our groceries. Monday – Loose Meat and Refried Bean Burritos with guacamole, sour cream, Habanero cheese & tobasco sauce and a side of potato salad. The DINNERS I have planned for this week include eating up a lot of leftovers from last weekend’s 4 days of celebrating. I number the dinners because I am more flexible as to what we have on a given day based on how we feel and how much time we have. (1) Modified bhan-mi-ramen-noodle-bowl skipping the pork & cilantro but adding mushrooms, snow peas & red onions. (7) Tuna Shepherd’s Pie with a side of mixed vegetables. (E) Banana Chocolate Chip Loaf -I add 1 cup chocolate chips, walnuts, raisins depending on my mood. OUR NEXT USA SHOP POSTPONED TO MARCH 12th! OUR CURRENT TOTAL UNUSED RESERVES ARE $1,292.28. This means the $1,274.44 that we carried forward from 2016 PLUS AN ADDITIONAL $192.43 that we have added in 2017, LESS $174.59 that we have drawn out for use in 2017. I have a large cup of coffee beside me before I read this…. what a long weekend. That being said I’m excited to try the pan roasted red pepper soup recipe you posted as I’ve always wanted to try that. 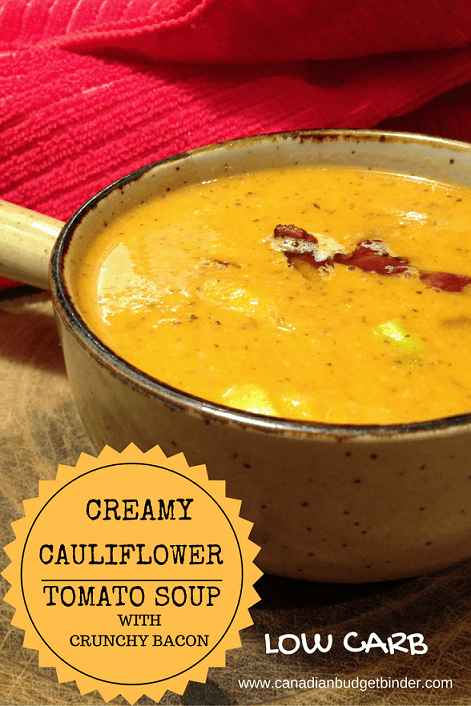 We’ve had roasted tomato soup and that was gorgeous with the smokey flavour from the oven char.